When Respawn Entertainment announced and launched Apex Legends earlier this week they also told the public that while everyone thought they’d been working on Titanfall 3, they hadn’t. They then went on to discuss Apex Legends and their plans for its future. 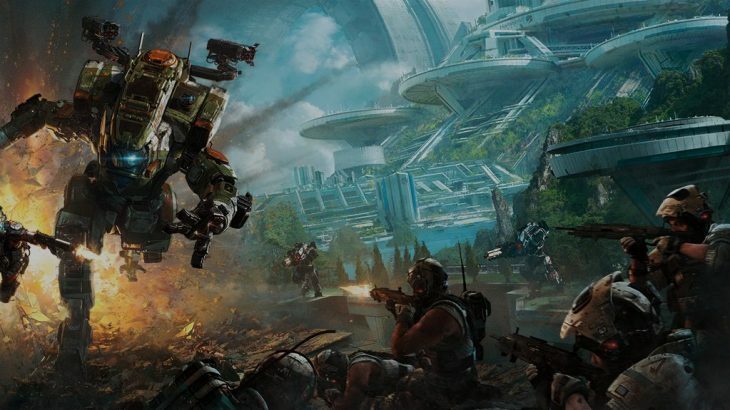 However, in a recent earnings call, a href=”https://wholesgame.com/people/andrew-wilson/”>Andrew Wilson, EA CEO, said that as the Apex Legends service evolves Respawn Entertainment would be planning to launch a new premium game in 2019 with a twist on the Titanfall universe. Respawn Entertainment CEO, Vince Zampella, has added fuel to the rumours by posting on his Twitter profile that the studio is indeed working on more Titanfall for later this year. He added that Respawn Entertainment love having the opportunity to experiment with the crazy universe of Titanfall, showing that this new title may not be Titanfall 3. Earlier in the week Kotaku reported that Titanfall 3 was meant to release before 2019. The report goes on to say that due to worries over the age of the Titanfall game engine, and the planned game holding up against the competition of 2018, which was strong, it was cancelled in favour of Apex Legends. The fact that the planned Titanfall game for 2019 is referred to as premium suggests that it isn’t another free-to-play title like Apex Legends. The game also most likely won’t be a mainline title in the Titanfall franchise, but instead could be a side story to the conflicts explored in both the previous titles. Apex Legends is currently being hailed as one of the best, if not the best, battle royale experiences available. The game puts players into 20 squads of 3 and throws them into a map with traditional battle royale systems. As the map closes squads must wipe each other out in order to emerge victorious. Respawn Entertainment is also working on a new game, Star Wars Jedi: The Fallen Order. This title was moved to Respawn Entertainment after Electronic Arts closed the last studio tasked with creating a Star Wars title, Visceral Games. While fans of the Titanfall series will be expecting a Titanfall 3 announcement in the future, it seems more likely that a different game set in the same universe will be announced for release in 2019. With developers now starting to tell press that they’re working on next generation dev kits, it seems likely that Titanfall 3 will be developed for those consoles.